Calling all ice fishers! A fish and ice house utility trailer is absolutely the must-have for anyone wanting to get the most out of your ice fishing trip. Our Fall Blow Out Sale is happening right now, so if you’re already planning your ice-fishing trip, DON’T WAIT until winter to buy. With monthly payments starting at only $136/month, you cannot afford to pass this up! Check out our Ice Castle fish houses for sale now and save thousands! These utility trailers are lightweight, easy to haul, and are ideal for setting up right next to your favorite fishing spot. And because they’re designed with you in mind, they offer more utilitarian features than your standard luxury RV. These are the Swiss army knives of the RV world! Check out some of these features! 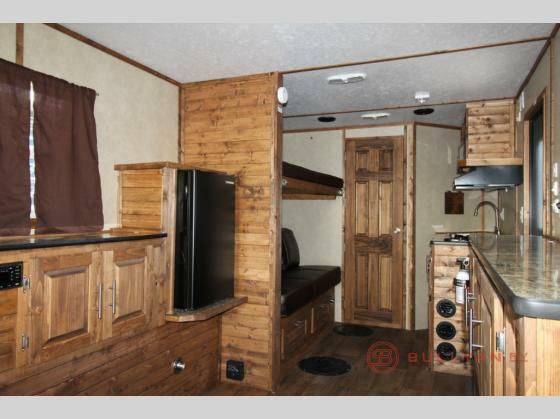 Take a look inside the new 2019 Ice Castle Fish House RV Limited 8×21 model. 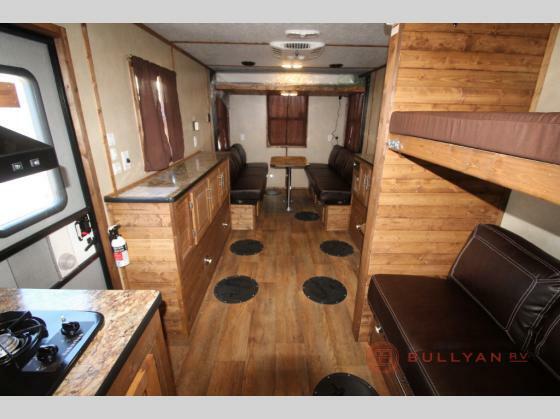 It’s just one of several models we have in our inventory, and features comes with three couches, hydraulic lift system, and two mattresses. When was the last time you sat on a sofa to fish?! All of our Ice Castle fish houses include comfortable seating arrangements while fishing! Every model also includes maintenance-free aluminum siding, spacious fish cleaning area, and a practical, space-efficient kitchen area featuring a multi burner range, oven, microwave, fridge, and sink. As Ice Castle likes to say, “You can camp in a fish house, but you can’t fish in a camper!” Take advantage of our fall blow out sale right now to make sure you have the best fishing trip yet this winter! There’s more to see than our Ice Castle fish house review can provide, so browse our photos online, or take the video tours on the listings to see even more features. Better yet, contact us today to take a look at our inventory in person and get a jump start on your planning!